Who is it that makes the decisions in your life? 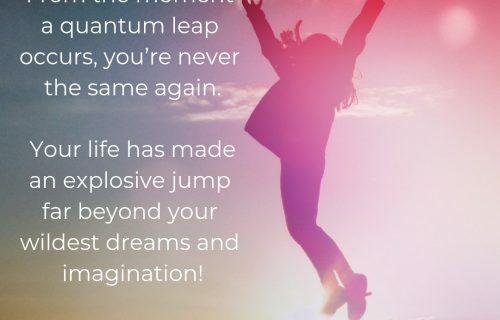 There is that something that is always moving things around in our lives, and we have to tune into it, trusting it, to be able to see the synchronistic events leading up to an opportunity for transformation in our evolutionary process. That something is what connect us with each other and everything that exists and when we are in sync with it, things come together for us. If we don’t, then by grace, divine intervention sometimes takes place that help us become very clear about what we need to change in our life, or how we need to change our approach to something that we have been struggling with for years. Every year at this time my thoughts go back to that day when I had a breakdown and was on my knees in the middle of the forest, crying hysterically and asking God to help me to become free from my drug addiction. I feel so incredibly grateful for my life, and for where my journey has lead me since I asked for help. Even now, even if it’s about 13 years ago or so, I still get all emotional thinking back and remembering how things changed for me the moment I surrendered my own ways and asked God to help me. I had known for a long time that if I continued on that path (of addiction), I would die. I knew it, and I tried so hard to get help, but I was shoveled from this place to that, and never finding a rehab center that could take me in asap. The waiting lists were usually very long and it could take years to get in somewhere. So I tried for about two years to get help, on my own, without getting anywhere and while knowing I would die if I didn’t get help. It was very difficult time in my life, and all the while I was struggling with my addictions I also knew that I had been put here on this planet for a reason, I have always known that, and that I had to get my life on purpose and deliver what I have come here to share with the world. After two years of trying to save myself I finally broke down that day in the forest and I cried out for help. I remember being on my knees (in the middle of an ant hill with angry ants all over my body), stretching my hands towards the sky, crying my eyes out, when I suddenly felt/saw a presence. And I literally felt a hand reaching out and taking mine, and still today, as I write this, I tear up because that was a pivotal moment in my life, a moment that would change the course of my life. To make a long story short; within a few months after my breakdown I was able to attend a rehab center and I stayed there for a couple of years. And how I ended up there was because I followed my inner nudges and because I was aware of the synchronisities that followed after my experience in the woods. Most people have taken on the ego as the ruling force in their lives and they have forgot all about inner guidance so they can’t see synchronicities, they can’t hear their intuition or be aware of opportunities and doors that are inviting them into a new way of life. All transformational processes begins with taking a step into the unknown, and every bold, big step I have ever taken has always lead me to huge (wonderful) revelations, increased spiritual awareness, transformation and a deepened trust in that ”something” that moves things around in my life. I call that ‘something’, that power, I call it ”God”, but you all know what I mean. As we boldly take those steps into something new, unfamiliar and uncertain, we come to perceive life as being magical, we meet someone at the exact moment we are suppose to meet them, our course corrects itself no matter how ”off path” we have previously been, life just rights itself as we become more and more right with ourselves. When we dare to surrender and let go, letting that ‘something’ take over and lead us towards a better life. That’s what this journey is all about ultimately. To surrender to the greater something that we can’t yet articulate or even imagine. We are always guided; synchronicities are operating at all times, but most just don’t pay attention to the events that unfold and occur in their lives, and most people are afraid of letting go of control. Most people let their ego make the determination on what direction their life would go, and one thing the ego does not like is change. It might resent ‘what is’, but it doesn’t want to change. It wants situations and conditions to change, but It doesn’t want to change. So most people feel stuck in their life – that’s what it leads to. If we want to grow and evolve and become more of who we are, we have to allow growth, and that requires moving out of the box of familiarity and that which is comfortable. Most people never do that. Thank God sometimes that ”something” within us intervenes in our lives! I want you to challenge yourself; I invite you to ask yourself how this year has started out for you, and be honest. Did you have any goals, desires, new year resolutions..? Where are you at with them now? Was one of your goals to listen more to what your heart was telling you – and if so, have you listened to it and how has that changed the course of your life? If you haven’t paid much attention to it; then ask yourself, and be equally honest; how willing and determined are you really to listen to the inner call of your soul? You could re-commit to it right now at this very moment. We all have a calling, and we all have the same desires of happiness and freedom. There’s a book about an Australian nurse who spent several years caring for patients in the last 12 weeks of their lives. She asked them about any regrets they had or anything they would do differently, and a common themes surfaced again and again. Life is too short to settle for other people’s standards! And life is too short to not fulfill what our hearts are calling us to do. Listen to that inner voice and live your life in love and alignment. Live your life in a way that you can feel proud of yourself, that you can feel that you contribute and share your gifts, that you are fulfilling your greatness, that you are living a life that brings happiness and freedom not only to yourself but to all those you come in contact with. That way you will always have something to celebrate in your life. I believe that each and every one of us has a past and personal story that can inspire others, but it can only inspire others as we transcend any limitations and struggles we find ourselves in. I hope my story about my past as a drug addict brought you inspiration and empowerment – I know that there could be some of you out there that are struggling with drugs, with family drama, with divorce etc, or people with no direction in life, that feel hopelessness, all living a life lesser than the greatest that we can have. 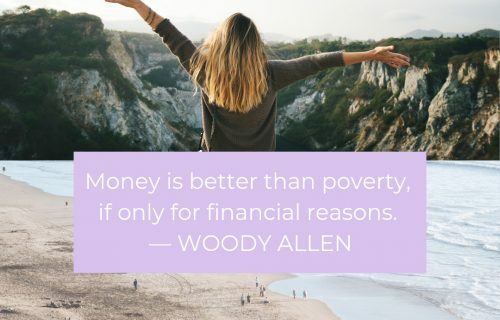 That’s we are here for! To enjoy life. 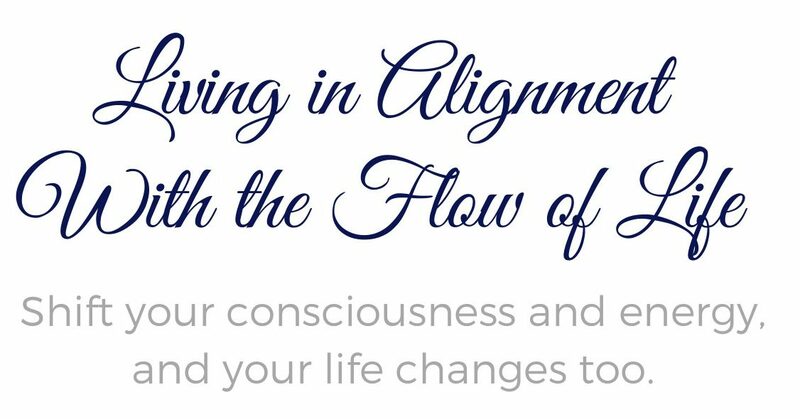 It can all change – all it takes is a willingness to surrender to your destiny, to the life that you are meant to live – in alignment with your true self – as your true self. Forget about any new year resolutions! How about deciding for a new year revolution instead? Because radical shifts are possible – radical transformations of consciousness and Life! 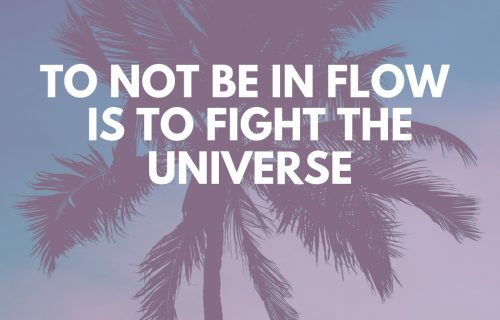 It’s all about surrendering into the greater, into the unknown, by taking bold steps towards anything that supports your health and wholeness, and when we do that, a life more abundant opens up for us. Then we can be at greater service to the world and those around us, simply because we live a life of freedom and happiness within ourselves. Self-awareness is the Key to freedom. It really is. 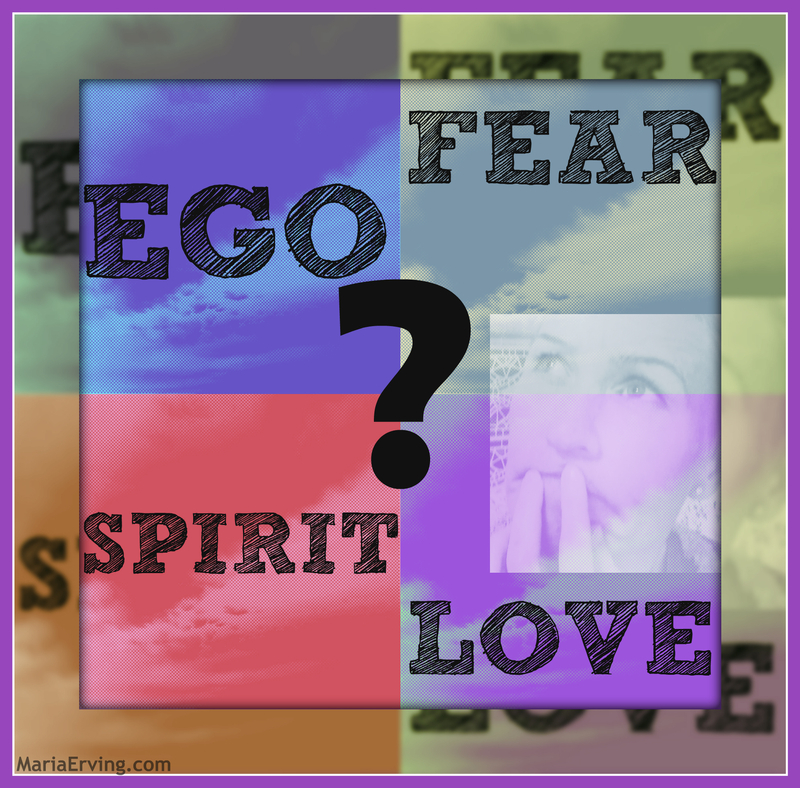 Do you know who runs your life and makes the decisions in your life; the ego or the Spirit? When we know who and what we are not, the true self reveals itself, and awareness is the key to that. Here’s an audio recording (40 minutes) where you can learn about some of the differences between the ego and Spirit, and by becoming aware of how you relate to the differences, where you find yourself in them, your life can become much more clear to you, and you will know yourself better. To access the recording you need to be a member of mariaerving.com, and if you’re already a member simply log in and it will be visible for you here on this page.